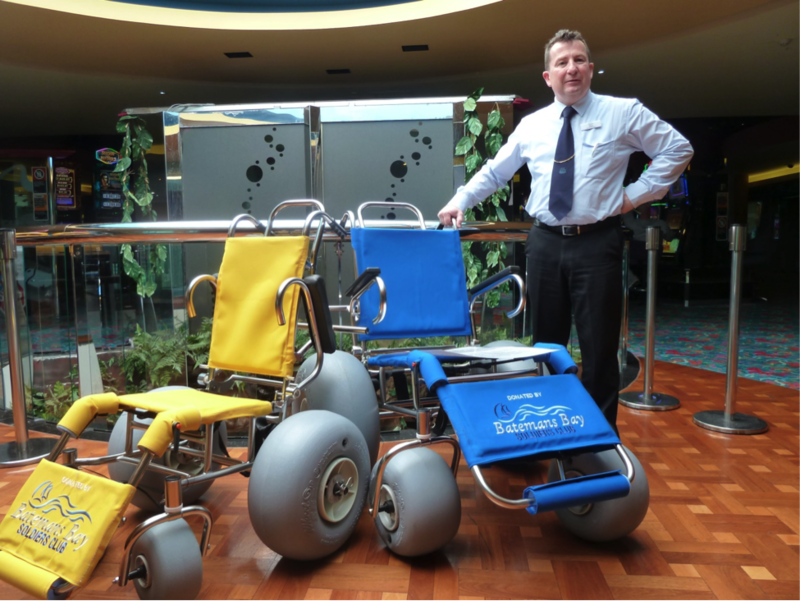 Batemans Bay Soldiers Club granted over $9000 to The Bay Push to provide two water wheelchairs. The chairs, one child and one adult size chair is housed at Clyde View Caravan Park and they are free for public use. Manager Bob Carver has generously agreed to provide shelter for the chairs and will manage their use. The chairs need the assistance of a carer and are designed to float in the calm sea waters at Corrigans Beach.